Teacher, writer, human rights activist dies unexpectedly at 44 – J.
Technically, Sarah Rose Horowitz moved slowly, the arthritis in her hip preventing her from walking at even an average pace. A teacher, poet, writer, tireless activist and world traveler, Horowitz died March 7, unexpectedly and from unknown causes, in her San Francisco home. She was 44. “She was one of most remarkable people I’ve ever known,” said Rabbi Alan Lew. Friends and family remember the 4-foot-7 woman as a kind, curious and cheerful person. She was also “wickedly funny,” said younger sister Anne Pilat, with brown eyes that smiled behind wire-rimmed glasses and thick, honey-blonde hair framing her face. Even though she had a hard time finding clothes to fit her small frame, she was always stylish, accessorizing her outfits with colorful scarves, hats and jewelry. She grew up in Berkeley and graduated from Berkeley High School. After earning creative writing degrees at San Francisco State University and the University of San Francisco, she published numerous poems and short stories in literary journals. She also worked as a freelance writer for S.F. Weekly and the Jewish Bulletin (now j.). She wrote a novel several years ago; her mom hopes to publish it posthumously. Eventually, Horowitz earned another graduate degree, this time in special education from S.F. State, so she could work with autistic children in the San Francisco public schools. But education and the written word accounted for only half of Horowitz’ passion. She was also a crusader for human rights and an observant Jew. She traveled with American Jewish World Service several times: to El Salvador to rebuild homes destroyed in a hurricane, to India to prevent domestic violence and child labor, and to Uganda to work with the Abayudayah Jews. “This was a person for whom it was difficult to walk a block, and she went all over the world,” Lew noted. Her commitment to human rights was not solely a global pursuit. She was vehemently against the death penalty and each time an inmate was to be executed at San Quentin, she traveled north to protest the execution. She also wrote to several inmates. After Horowitz died, her mother found a stack of letters from years of correspondence with one inmate. “He clearly loved writing to her,” she said. Horowitz regularly cooked dinners at the Hamilton Family Center, a homeless shelter in San Francisco. A vegetarian, she began by cooking only vegetarian meals; when she realized the residents preferred meat, she learned how to cook it just for them. Horowitz found herself drawn to Judaism and Rabbi Alan Lew’s Congregation Beth Sholom in her mid-30s. 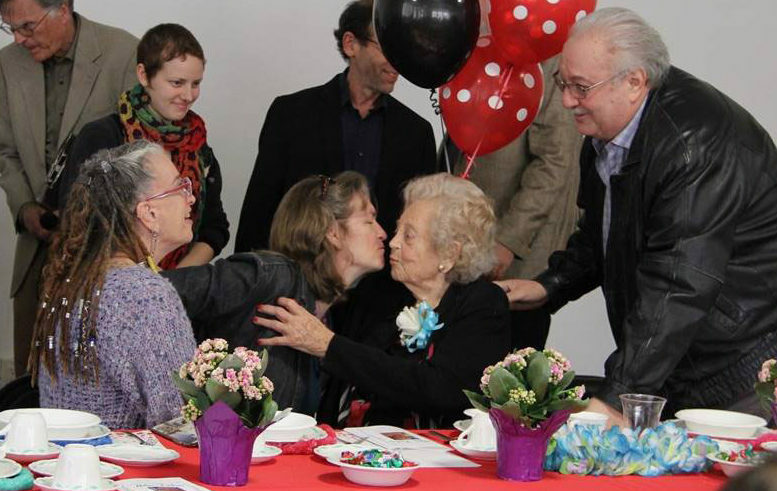 Once she began going to Shabbat services regularly, she moved from the Mission to the Richmond District to be within walking distance of the synagogue. Horowitz frequently wrote and delivered divrei Torah at synagogue. She was famous among friends and congregants for her pumpkin challah. Sixty-eight people have signed up to be a member of the Sarah Horowitz Archive and Social Network, created by her brother to preserve her writings, wit and community. To sign up, check http://sarahhorowitz.ning.com. Horowitz is survived by parents Elissa and David Horowitz, sister Anne Pilat and brothers Jonathon Daniel and Benjamin Horowitz. 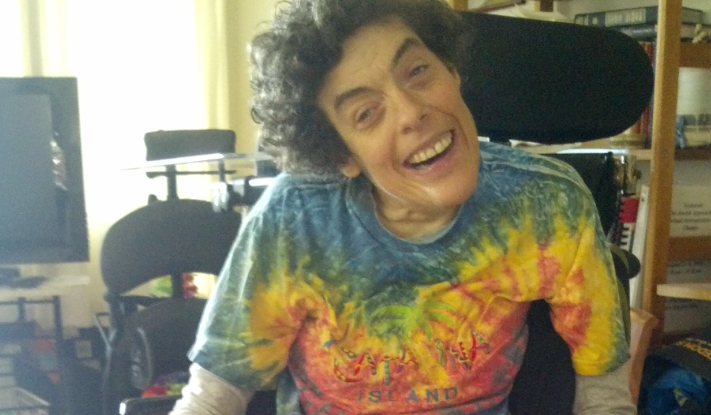 In lieu of flowers, the family asks that contributions be made to the Sarah Horowitz Fund at AJWS, Attn: Joanna Kabat, 45 W. 36th St., New York, NY 10018, or the Via Foundation of San Jose, which operates a camp for autistic children and adults.